I have already emphasized the importance of investing in your skin many times before. And I do hope I'm not boring you with my ever growing 'obsession' with good skincare but I still feel the need to share every miracle worker that has benefited my skin. Being a big advocate in skin health I may come across new innovating skincare more often. 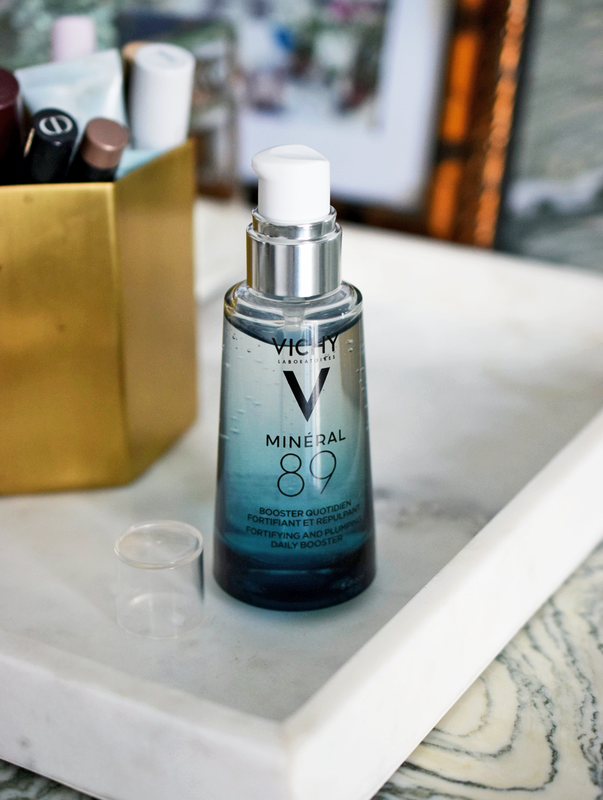 The latest that has reached my radar is the Mineral 89 Skin Fortifying Daily Booster by Vichy. A booster that promises to leave your skin with a dewy complexion. We are well over the days of only splashing some water in our faces in the morning and leaving the house with only a layer of foundation. Looking after your skin health has become more and more established these last few years. Good skincare is key when it comes to keeping your skin fresh and healthy. Next to that water is essential to leave you with brighter skin on a daily basis. 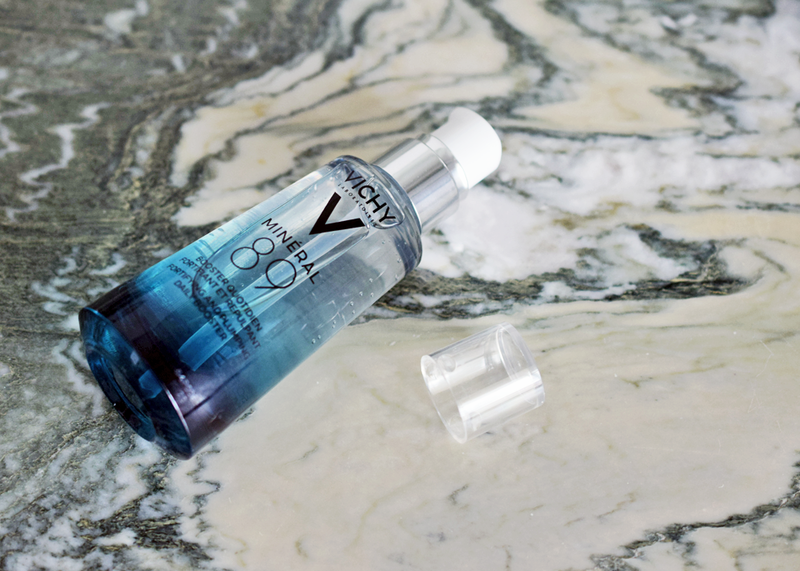 And so I was instantly all ears when I heard Vichy had developed a formula with water as the main ingredient. The '89' stands for 89% of mineralizing thermal water, the iconic thermal water spray I already love in the Vichy range. I have incorporated the Mineral 89 Booster into my routine just a few weeks ago and am already convinced it does what it says. It may even be one of the best products I've come across lately. 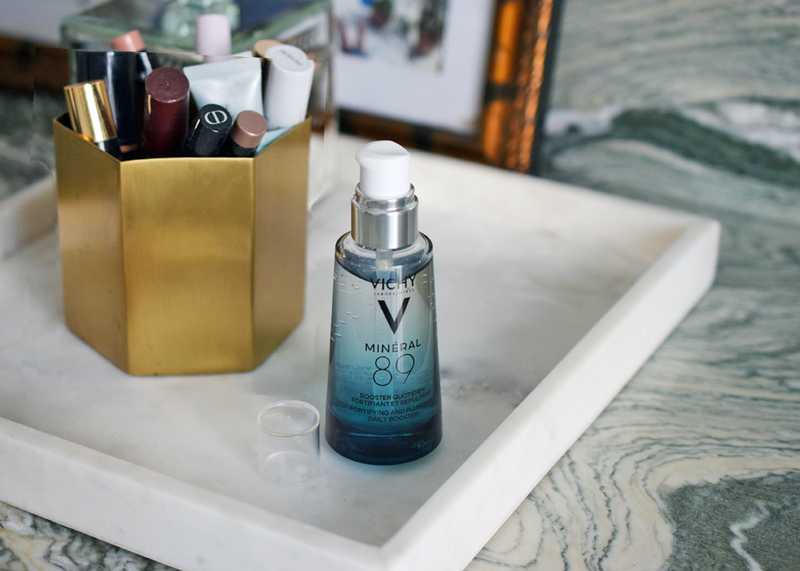 The Mineral 89 Skin Fortifying Daily Booster is said to strenghten your skin's barrier against stress and fatigue (I have a newborn waking me up every few hours) with natural hyaluronic acid. I think it goes above expectations. I use it as the first step of my skincare routine. It is a light-textured scentless gel which your skin will drink up almost immediately. 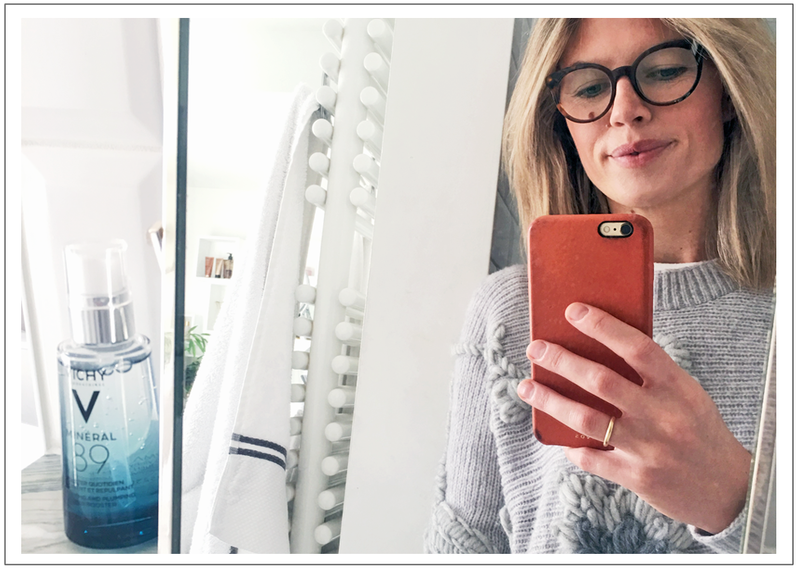 I am all about a fast and efficient routine but I don't think it adds more than two minutes extra to my morning and evening skin prep. 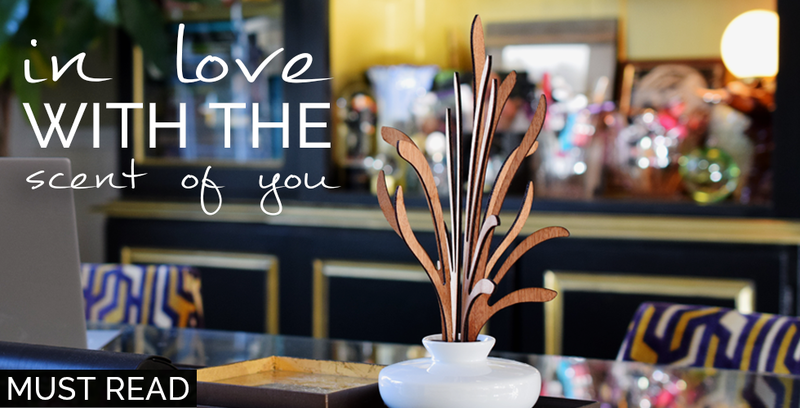 What had me hooked from the beginning on was the instant soft and comfortable feel and hydrated radiance. But also the no fragrance formula that guarantees not to irritate sensitive skin types. After three weeks of use I do believe my skin feels much more soft and plumped and it hasn't triggered my post pregnancy acne at all. If you're looking for a new beauty product to give a try, this is definitely the one. And to be honest, the packaging is no bother having it left on your bathroom's countertop, right? Tempted to welcome brighter skin as well? 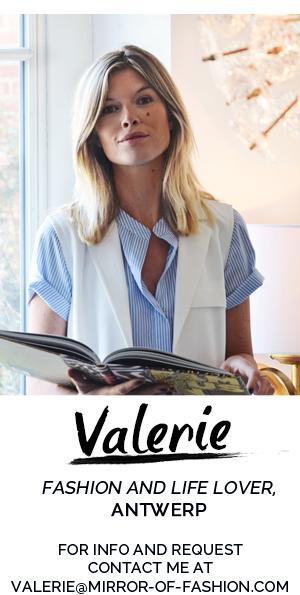 Order the Vichy Mineral 89 Booster at Farmaline here and use the code VALERIEBREMS_MINERAL89 to receive 5 euros discount on the 18,36 euros pricetag.